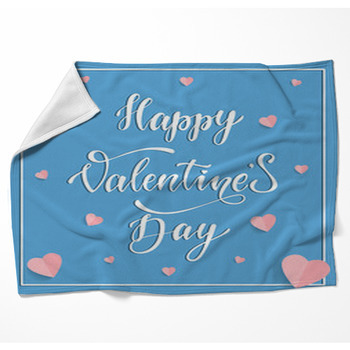 Valentine's Day only comes once a year, but you can give the special person in your life something they will appreciate all year with one of our Valentine's Day blankets. 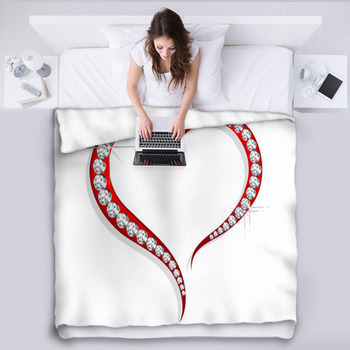 For a passionate bed blanket choose the design of LOVE written in flaming letters on a black background, with the O formed by a heart shape, or you can have just the flaming red heart alone on a black fleece blanket. 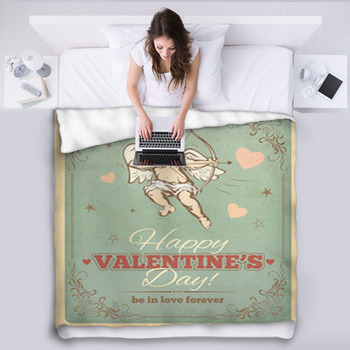 Another intense and steamy Valentine's Day blanket features an illustrated blonde girl in a long red dress smiling seductively as red hearts soar around her. 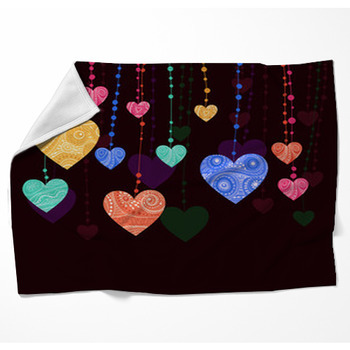 If you prefer a more innocent custom blanket to decorate your living room with, we have throw blankets depicting a young couple in old fashioned clothes leaning over to give each other a peck on the lips in front of a big green heart. The girl is in a flowing white lace dress with green trim and has on a cloth hat, while the boy is wearing a green suit with knee high white socks. How about a cute Valentine's Day blanket, such as a violet and purple cartoon kitten cupid with golden wings preparing to shoot an arrow of love from his golden bow, with a bubbly pink heart behind him? 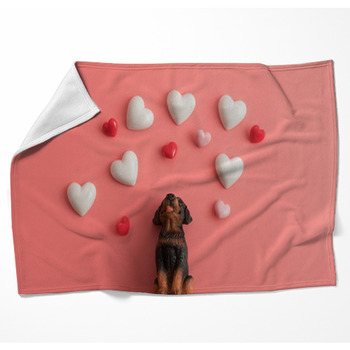 We have elegant Valentine's Day blankets as well. 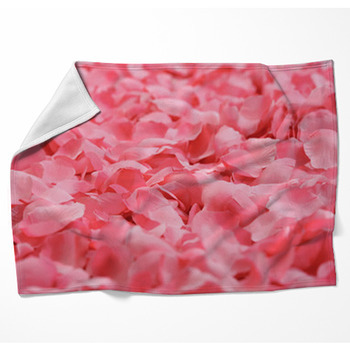 These include a blanket design that displays a black and a white swam gently touching beaks as they float across a pond. Their feathers reflect softly onto the white water beneath them, and the image is bordered on top and bottom by strips of purple that are adorned with lavender hearts. We also have a heart that is colored gold, silver and orange, and made of clock gears and leaves. 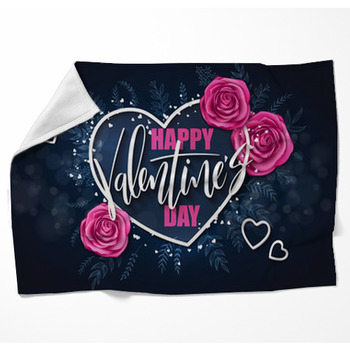 One more way to celebrate Valentine's Day with a blanket is to add your boyfriend's name to a blanket that says I next to a red heart shape.